So you want to go to Lapland, you don’t know where to start and you’re completely overwhelmed with all the things you need to think about. Fear not! I’ve put together a complete guide to preparing for a Lapland holiday. Plus packing lists you can customise so you don’t forget anything. So get a highlighter and start crossing things off. There’s no getting around the fact that holidays to Lapland are not cheap. You are looking at more than £2,0000 for a three-night stay including flights, accommodation and activities for a family of four. This can rise to £7,000-plus for a nice hotel in a remote location. It’s easy to get carried away when booking a trip to Lapland and spend an obscene amount of money on a couple of days in the snow. I’ll hold my hands up and admit that we didn’t really shop around for the best deal and, as amazing as it was, we didn’t do our Lapland trip on a budget. I would recommend where we stayed to anyone for whom money isn’t an issue. However, if we were to go again, I would be more financially savvy about it and do it a slightly different way. There are ways you can cut the cost of a holiday and it’s worth checking out all these options before you part with your hard-earned cash. 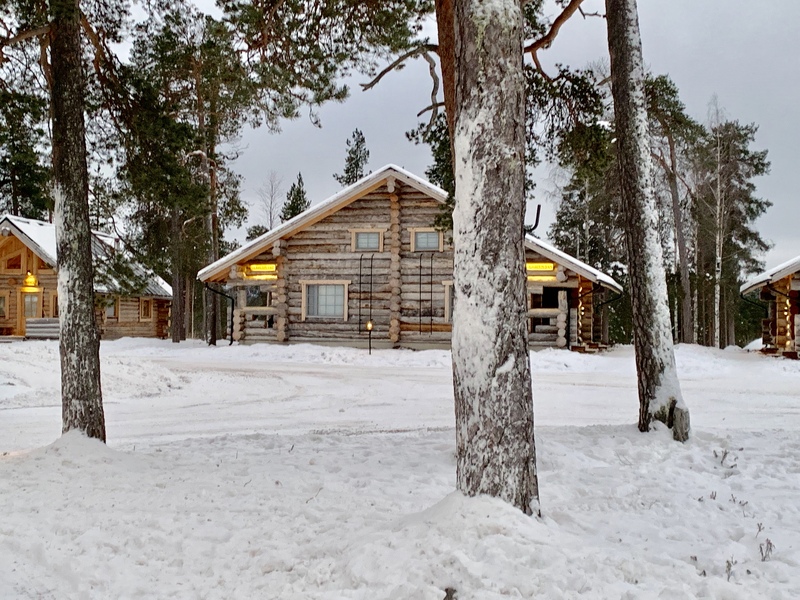 Google Lapland holidays and you’ll be presented with an overwhelming number of options and it’s likely you won’t know where to start. First of all, think about what you want from the trip. Do you want a full-on busy Christmas experience with singing and dancing elves? Do you want to be in a quiet, remote location where you can take part in snow activities away from the busy crowds or do you want something in between? 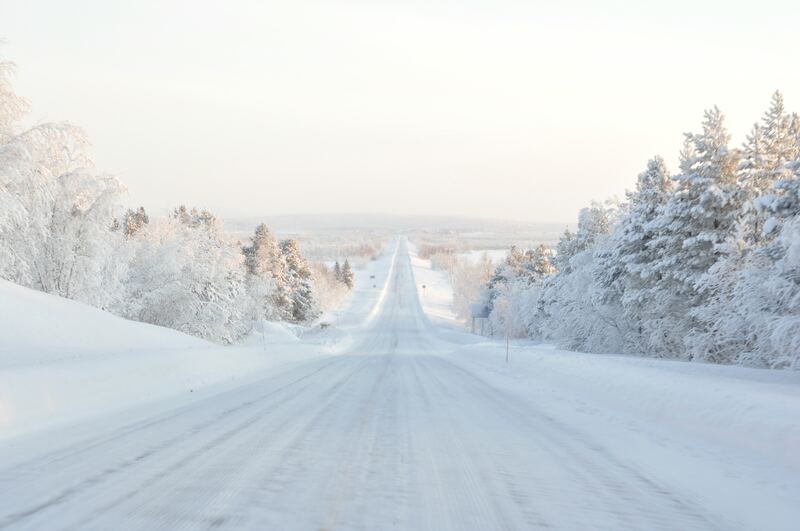 The most popular destination is Rovaniemi – the capital of Finnish Lapland and the official hometown of Santa Claus. The famous village houses a post office that sorts through all the letters that children have sent to the North Pole and Santa’s grotto. There is also a Santa Park with activities for the whole family. If you are looking for full-on Christmas, this is the place to be. We went to Nellim, a quiet and remote little village about four hours in northern Lapland near the Russian border. Located next to Lake Inari, it made a beautiful setting for husky safaris, snowmobile exploring and trips to see the Northern Lights. If you are looking for something less commercial than Rovaniemi but with more going on than somewhere like Nellim, have a look at Levi or Saariselka. Levi is the largest ski resort in Lapland and appeals to families who plan to combine a Santa visit with a ski trip. It’s also a great location for husky and reindeer safaris or snowshoe walks taking in the Northern Lights. The town is small but it has plenty of restaurants, shops and bars. If you decide you’d like to visit the Santa Claus village, it takes about 40 minutes to drive there. Saariselka, located south of Ivalo airport, is situated in the stunning Urho Kekkonen National Park. You can combine a visit to Santa with snowmobile safaris and husky rides. Other destinations which offer unique and less commercial Lapland experiences than Rovaniemi, include Yllas, Luosto, Karesuando and Pallas. Also think about how long you want to go for. Day trips are the cheapest option when booking a package holiday but it’s a long day if you’ve got young kids. However, if you’ve used up all your annual leave or you don’t want to take the kids out of school during term-time then this could be a good option for you. Lapland holidays are big business and there are lots of companies who now offer package holidays to the region. Some have direct flights, others require a change at Helsinki airport. Major operators include Inghams, Santa’s Lapland, Thomas Cook, Tui, Transun, Magic of Lapland and Canterbury Travel. 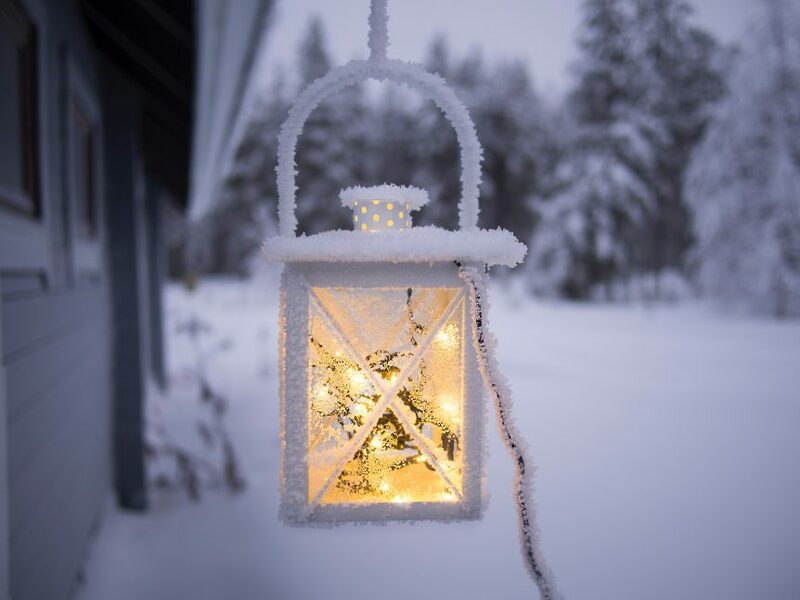 As well as comparing the prices of holidays with the companies above, it’s also worth checking the prices offered by independent agents – such as Hays Travel, Dream of Lapland and Santa Claus Trips – and asking them to beat the online price listed on the travel companies website. If you’re booking online, also check any discount codes you can use to bring the cost of your holiday down and use cashpack sites such as Quidco or Topcashback. If the cost of some of a Lapland package holiday puts you off, it’s also worth looking at booking everything yourself. 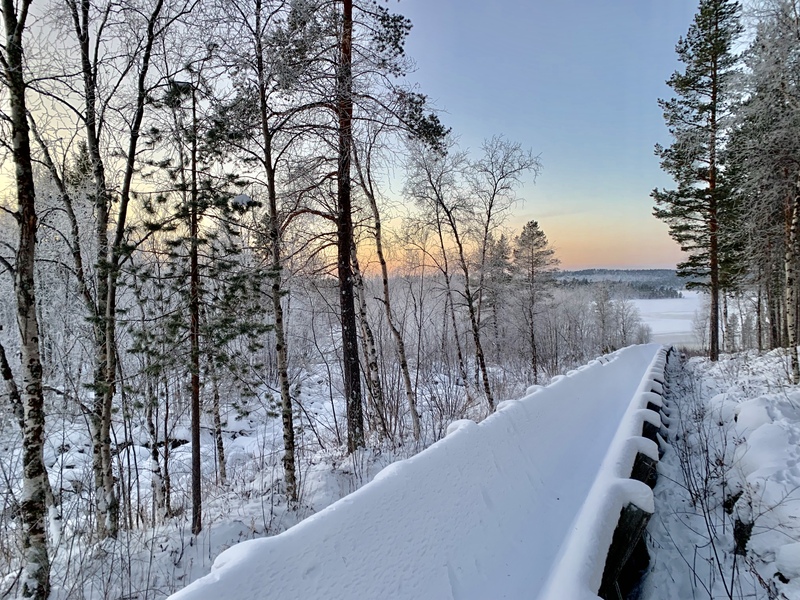 Cath from Passports and Adventures bagged a 10-day trip combining Helsinki and Rovaniemi for less than a 1-night package trip to Lapland in December and has some great advice. Clothes can make or break a trip to somewhere like Lapland. If you or the kids get cold you’re in for a miserable time. So it’s important to get it right. However, you don’t need to spend a fortune on expensive branded snow gear, especially if you’re only going for a short break. Pay most attention to the materials you buy rather than brand names and follow these rules to keep everyone nice and cosy. If you’re organised you can look at the end of season or summer sales. I have to say I wasn’t that organised but I bought most of my stuff really cheaply in Aldi’s ski-wear sale at the end of November and Go Outdoors’ Black Friday sale. I also bought a couple of bits from Amazon and the Trespass sale. Taking children with autism and other additional needs on a snow holiday can have more challenges than neurotypical children. Big Bear, for example, hates what he calls “itchy” clothing (ie wool) which makes working out how to keep him warm in minus temperatures quite difficult. Little Bear, on the other hand, is fine with wool but doesn’t like wearing new clothes. He’s currently in training and I’m introducing a new item of clothing a day to wear so his snow wardrobe is familiar when the holiday arrives. Layers are your friend in extreme cold. They are essential for keeping the family toasty warm in minus temperatures. Lapland weather tends to be cold but dry, meaning -20°C doesn’t feel as cold as -20°C in other countries. 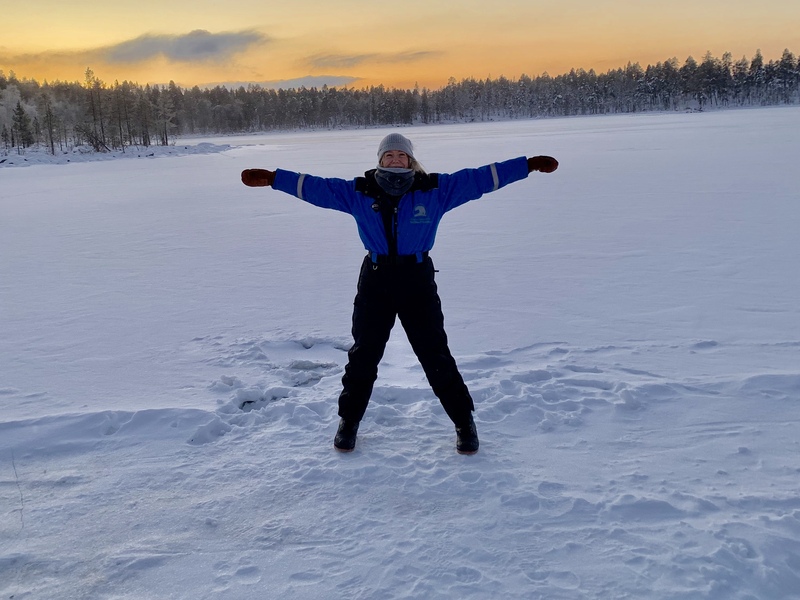 Locals advise that it’s unlikely that you will need waterproof clothing because the snow is very dry and doesn’t melt – you can just shake off the snow. The golden rule when it comes to choosing any warm clothing is to avoid cotton. It’s fine to wear indoors but not outside. It holds in moisture, which can cool you down. Most other materials are ok. Wool is best, especially Merino wool. Snow boots are best but walking boots are fine if it’s a one-off visit to Lapland. Ideally they need to be a little larger than your foot size so you can comfortably wear two thick wool socks inside them. It’s also a good idea to wear thermal or fleece insoles inside the boots. In an emergency, putting crumpled up newspaper in your boots will warm up your feet a treat, anecdotal evidence suggests, provided that your replace the newspaper every day. Wellies are a no-no because they don’t keep feet warm and they are dangerously slippery. Wool hiking socks or ski socks are best, especially Merino wool. Avoid cotton. Most other materials are ok. Experts advise wearing three layers on the bottoms half. Base layer/long thermal underwear made from wool or polyester. Wear it direct on your skin and do not wear anything under it (such as cotton pants). However, if your child wears a pressure vest, it should still be ok as they usually aren’t made of cotton. I plan to experiment when we get to Lapland so I’ll report back. 100% polyester jogging bottoms. Most fleece is 100% polyester. I bought fleece trousers from Aldi for about £4 each for The Bears. Salopettes/ski trousers. Even though you’re not skiing they are super warm and made for very cold conditions. Locals advise that good quality branded ski pants are far superior to the budget. However, if you don’t want to buy ski trousers, the thermal underwear, polyester trousers and a cheap pair of waterproof pants (for a bit of wind protection) should be ok down to about -15°C. Again, layers are essential. You can take layers off if you get too hot or put layers on if you get too cold. Base layer/long thermal top. The base layer’s function is to remove moisture from your skin. Wool or 100% polyester is good. Avoid cotton. The base layer also keeps wind and drafts off you. We’ve been advised by locals to wear a fleece shirt underneath a thick 100% wool jumper. The fleece shirt is optional but will keep you cosy in all temperatures. Just make sure it’s 100% polyester and not a cotton mix. For The Bears, I found base layers along with fleece tops and fleece shirts from Aldi really cheaply. They both have wool/polyester mix jumpers from last winter that still fit. The main problem will be encouraging Big Bear to wear his, given his recently-developed dislike for “itchy” jumpers. I’ll wear a base layer, followed by a fleece top. I’ve got one jumper with a high percentage of wool that I’ll be taking to wear over the top. 100% wool jumpers are hard to find. On top of the wool jumper, it is recommended to wear a fleece coat. However, because I’ve got a fleece underneath the jumper, I’m hoping that will be enough for our trip underneath my jacket. Winter jacket. Locals recommend going the extra mile when it comes to your jacket. It needs to be one that can perform in extreme temperatures even if it never sees extreme temperatures. The top type of insulated jacket for conditions like this is the down parka, as worn by science expeditions in Antarctica. If a down parka is too expensive or you wouldn’t use it enough to warrant spending so much on one, a down shell jacket or any other sort of insulated jacket is better than nothing. At the very least you would want a padded jacket. If a jacket is very thin, it is doubtful it will keep the heat in. If it is quite thick, it should do a good job. Hat and gloves are mandatory in Lapland. It’s recommended to have a thin pair of gloves on under your main gloves/mittens, so you can operate camera etc using the thin pair of gloves and you don’t have bare skin exposed to the cold. Mittens are better than gloves in serious cold with a thin pair of gloves on underneath. The fur trapper hat, which covers the ears, is a good choice if it’s cold and/or windy. 100% wool or fleece scarf. If you are doing any sort of winter activity, such as husky sledding, snowmobiling etc, you’ll need to have a balaclava or snood. Keep your face covered and you won’t feel the cold no matter how low the temperature drops. Check what your accommodation provides. Some places will give you or let you hire snow suits and boots, socks, balaclavas, gloves etc so check before you go out and buy anything. Our hotel provides lots of clothing items but we’re taking a few bits, like supportive walking boots, for The Bears just in case. I’m keeping some of the tags on in case we don’t need them but I’d rather know they will be warm than chance it. So, in conclusion, pay close attention to the materials you take with you. Polyester and wool (especially Merino wool) are really good, cotton is bad for the cold outdoors. Most of the clothing is pretty standard stuff so shouldn’t cost too much. I got most of ours from Aldi, at the end of November and Go Outdoors’ Black Friday sale. However, good quality ski trousers and an insulated jacket are recommended. Remember, there is no such thing as bad weather, only bad clothing. If you dress correctly for the conditions, you can go out in practically any weather. This is the bit that neurotypical families can skip but for families with children on the autistic spectrum it can make or break a holiday. We booked our holiday nine months ago but we’re planning to tell The Bears about four days before we go. Telling them too early may make them anxious, leaving it too late means they won’t have time to prepare. Contact the airport in advance and see if you can access pictures from different areas to make into a booklet or social story. Some airports now offer a special sunflower lanyard to wear on your journey throughout the airport. It enables staff to recognise that you have a hidden disability without you needing to declare it. Check your airports website for details of their scheme well in advance. Do you need to sit in a certain seat on the plane or area of transport? Do your children struggle with stairs or can they only eat certain foods? 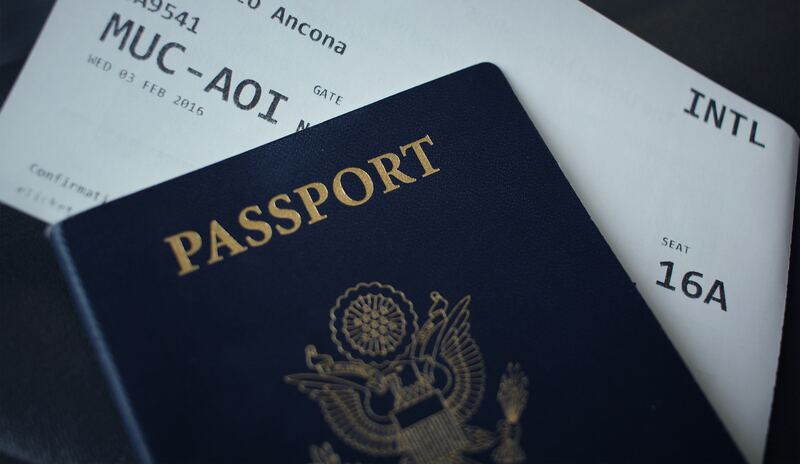 Make a list of any special requirements you might need and make your airline aware of them. Discuss check-in and flight arrangements with your airline. 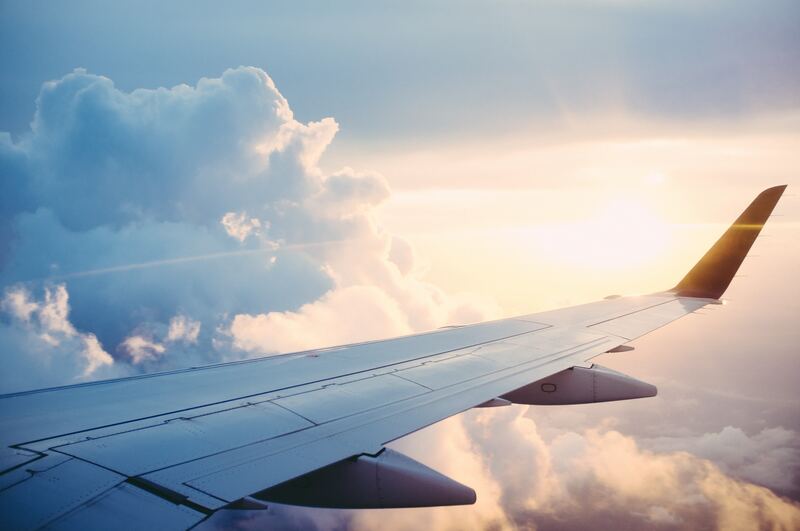 Some airlines enable families with additional needs to check-in at a quieter time, sit in certain seats on the plane with no seats in front to kick, use a quieter area of the airport, board first or last or request special food in advance. Big Bear is sensitive to noise so we’ll be packing ear defenders and flight ear plugs to reduce cabin pressure. If your child feels comforted by certain fabrics then think about what they might wear for the flight. You can also get weighted clothing items, which can have a calming effect on some children with autism. Cross off the days until the holiday (but don’t start the countdown too early). Create a holiday information pack with pictures so they can visualise where they are going and what to expect. If your child is worried about the flight, do a little role play to practice going through check-in or security. Practice carrying bags or wheelie cases so they can help out at the airport. This something you can bring out if you can sense a meltdown. Pack snacks, their favourite music, ear defenders, games, tablet or a comfort toy. Whatever helps them when they feel anxious. Think of things you can use to encourage good behaviour to distract the child during long waits and help them to keep calm. Sign up to my email list and receive a FREE 10-page holiday activity book which includes a checklist of things to spot at the airport, a page to write about or draw a picture of their journey, plus a place to write down any worries they might have. Hotel address and contact number plus any reference numbers and confirmation of any special arrangements agreed. Contact details for tour operator if applicable. Transfer details to and from the airport including contact details. If you’re organising it yourself, make sure you know the best way of getting to your hotel (taxi, bus, train etc) and how much it will cost. Airport parking details if you’re driving to the airport. 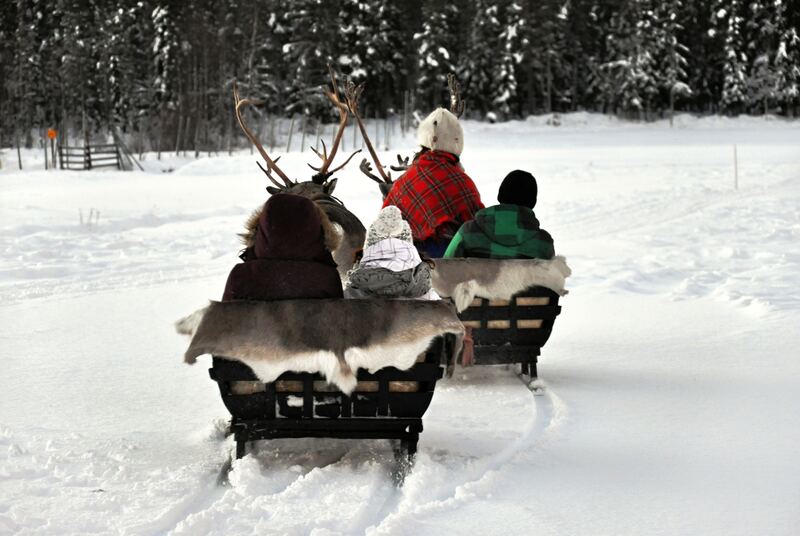 For the last few years, Lapland has been at the top of my bucket list for our family. The Bears have hardly seen snow and I thought it would be a good adventure for us all. Timing was an issue. I wanted to go while The Bears were still young but we needed Little Bear to be confident on his feet. We decided that this year was a good time, when they were six and four. We decided to avoid the crowded Santa Claus Village in Rovaniemi, Finland. Instead we booked a hotel four hours further north in a place called Nellim, a few miles from the Russian border. To say it was remote is no exaggeration. It was 40km to the nearest village and the nearest village didn’t have a shop. The hotel was all-inclusive and ran a number of excursions, including a private visit to Santa. Just after we booked our holiday of a lifetime, we had a deluge of snow. It was then I discovered three important things a) Little Bear REALLY didn’t like the cold, b) HATED the snow and c) would NOT wear gloves (or any kind of warm clothes). For a lanyard-obsessed boy like Big Bear, arriving at Manchester Airport was a dream come true. We went straight to the special assistance office where the man behind the desk presented him with his very own lanyard. It wasn’t any old lanyard. This one enables families with additional needs to skip the queues for check-in, security and passport control. We also chose whether to board the plane first or last. Everywhere we went, the airport staff were super-helpful and friendly. As we waited to board the plane (we chose to board last), they entertained The Bears. It couldn’t have been a better start to the holiday. We had two flights to take. Big Bear didn’t have an anxiety attack, which I had feared because he doesn’t remember the last time he went on a plane a couple of years ago. Luckily both Bears were excited about their adventure. Big Bear wore his ear defenders on the first flight from Manchester to Helsinki and they both sucked lollies and drank water to help with popping ears. On the second flight, from Helsinki to Ivalo, Big Bear didn’t need his ear defenders. I took children’s magazines, a few small toys, a couple of games and tablets for entertainment. We didn’t have any meltdowns. I think excitement got us through. We had booked a log cabin suite at the Nellim Wilderness Hotel. It was open plan with a twin bedroom on the mezzanine level and the main bedroom downstairs. We had a kettle, a fridge, a wet room bathroom and our own private sauna. The hotel also has rooms in the main building and log cabins without saunas. Buffet meals were served in the main hotel and there were a variety of options for each meal including at least one crowd-pleasing children’s option (usually sausage or chicken nuggets and chips). There was always at least one fish and meat option as well as vegetables and salads. However, I noticed the accommodating kitchen staff were happy to make bespoke vegetarian options if required. The dining room was warm and cosy with its twinkling lights and Christmas decorations. It also had a lounge area and a well-stocked bar at not-too-expensive prices. The set up: Two people per sledge. The driver stands at the back steering the huskies. The passenger sits in front. We decided it was too much for Little Bear to sit on his own in the sledge for the two-hour trip so I sat in the sledge with him while a (slightly scary) man from the husky farm drove. J drove his sledge with Big Bear in front. We were only a small group – our family plus an Australian couple – and Laura, our guide. We raced across frozen Lake Inari with incredible scenery all around us and not another person to be seen. It was an exhilarating ride and The Bears were laughing their heads off when we first set off. By the end of the trip both Bears were asleep. We woke them up to meet some of the dogs at the husky farm, which, according to Little Bear, was his favourite part of the whole holiday. Our first activity in Lapland was a test of how well our layers were working. To be honest, I was a bit cold at the end, probably because we hadn’t moved for two hours. I could have done with an extra layer on my body, and a second pair of gloves with some heat packs inside. The Bears were ok as they had an extra layer on, although keeping their gloves on was a bit of an issue. This was a truly magical trip. 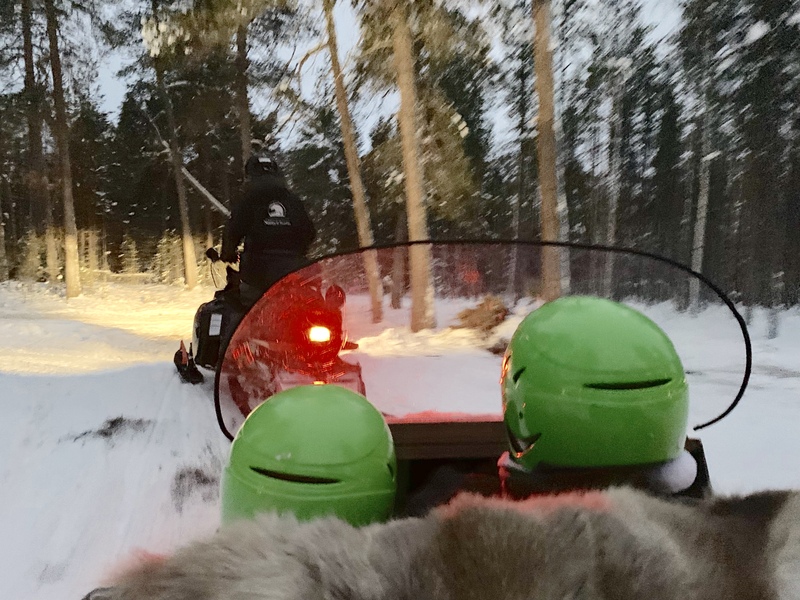 In the afternoon, after our husky safari and buffet lunch, there was a knock on our log cabin door by one of Santa’s elves who asked if we wanted to go on a ‘special ride’. Outside there was a snowmobile pulling a sledge. We all boarded the sledge and our driver, Jonny, drove us across the frozen lake and through the forest. We passed log cabins with twinkling lights, until eventually we reached another elf standing by the side of the road. She took us down a candle-lit path, past a sleigh filled with presents, and up the steps to a log cabin. The door opened and Santa welcomed us in. There was a Christmas tree next to his chair with presents underneath and children’s letters from all over the world on the wall. We all sat next to Santa while he talked to The Bears. They were really shy and declined his invitation to sing Christmas songs with him. Instead, we drank hot blueberry juice, ate ginger biscuits and talked about what The Bears wanted for Christmas. We were able to stay for as long as we wanted before the elf took us back to the sledge. It was everything you would hope for from a visit to Santa and the big kid inside me was probably even more excited than The Bears. 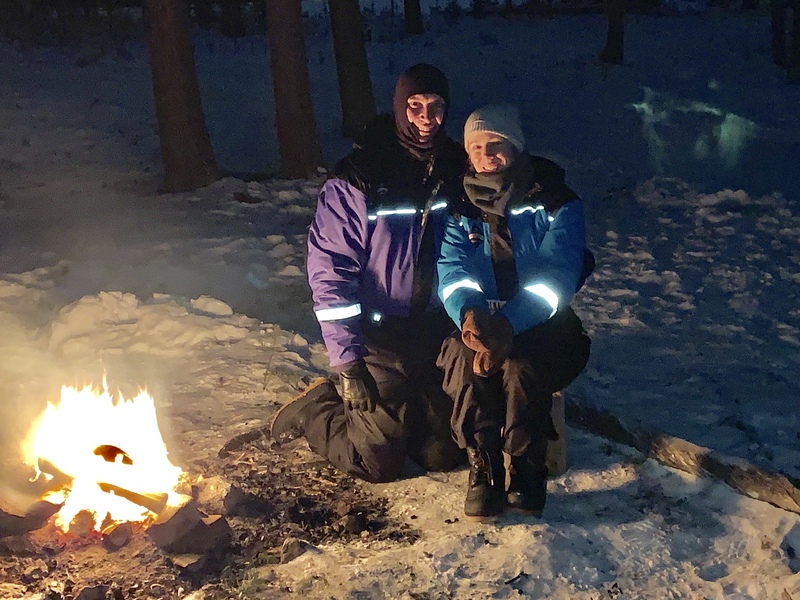 We booked two evening trips on consecutive nights to try to see the northern lights. The first night we were on our own with our Dutch guide, Pim. He took us out on snowmobiles (I rode on the back of J’s and The Bears went in a sledge pulled by Pim’s snowmobile), over the frozen lake and through the forest where we set up camp by another lake. We drank hot chocolate and ate ginger biscuits next to an open fire. The Bears were tired and screaming when we set off but after less than a minute they fell asleep in the sledge under blankets and stayed asleep for two hours until we returned to our cabin. It was the best scenario we could have hoped for as we had an evening to ourselves and since we didn’t see the northern lights they didn’t miss anything anyway. 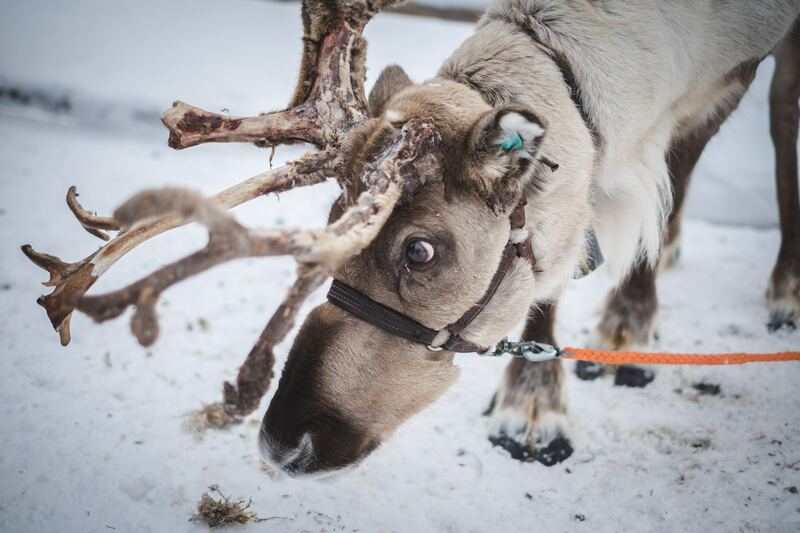 Day two was reindeer day – and minus 18 degrees (about 10 degrees colder than the day before). Both Bears were pretty tired after their busy first day but we were due to meet our guide, Pim, at 9am so we had to get going. Big Bear was happy to put on his warm layers but Little Bear wasn’t so keen so it was more of a struggle to get him into his clothes after breakfast. We filled our rucksack with heat packs for our shoes and gloves and even popped a couple inside the all-in-one suits provided by the hotel. Pim pulled The Bears’ sledge with his snowmobile and we rode our snowmobiles in a line behind him. J and I shared a snowmobile with me riding behind We briefly swapped later on. First of all we rode to the reindeer farm. The reindeers are free to roam around the forest but in winter they come to the farm to find food. The Bears had great fun feeding the reindeers, although spacial awareness was an issue as they kept bumping into the antlers. After feeding the reindeer, we went into a hut with a roaring open fire where the farm owner told us about the reindeer while we drank hot blueberry juice and warmed up. Next, we went outside again and he showed us how to catch a reindeer with a rope. The Bears were more interested in running down a hill to the frozen lake but J had a go. 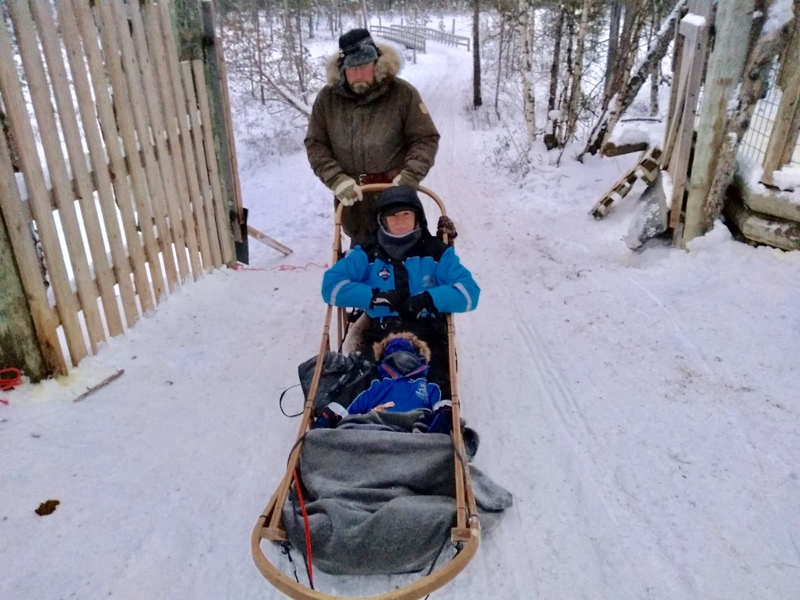 We then rode across to a wooden hut near the Russian border where Pim cooked reindeer soup and toasted sandwiches for lunch (he joked it was a ‘meet & eat’ trip). Even though they eat a wide range of food, I wasn’t sure how The Bears would feel about eating reindeer. Turns out they didn’t mind at all (I don’t think they’d made the connection with the animals they’d just fed) and Little Bear in particular wolfed down the food. After lunch we went on a little walk through the forest to the Russian border zone. There is a kilometre no-go zone between Finland and Russia so the yellow ‘stop’ signs in Finland are as far as you can go without a one-way trip to Russia. The Bears weren’t really keen on the walk at first – and J carried Little Bear – but once Big Bear realised that walking warmed him up a bit, it got easier. I pushed him along pretending he was a snowmobile as he made the sound of the motor. I’m not sure what the other two couples on our trip thought but it helped us finish the walk. Then it was back on our snowmobiles for a ride back to the hotel. 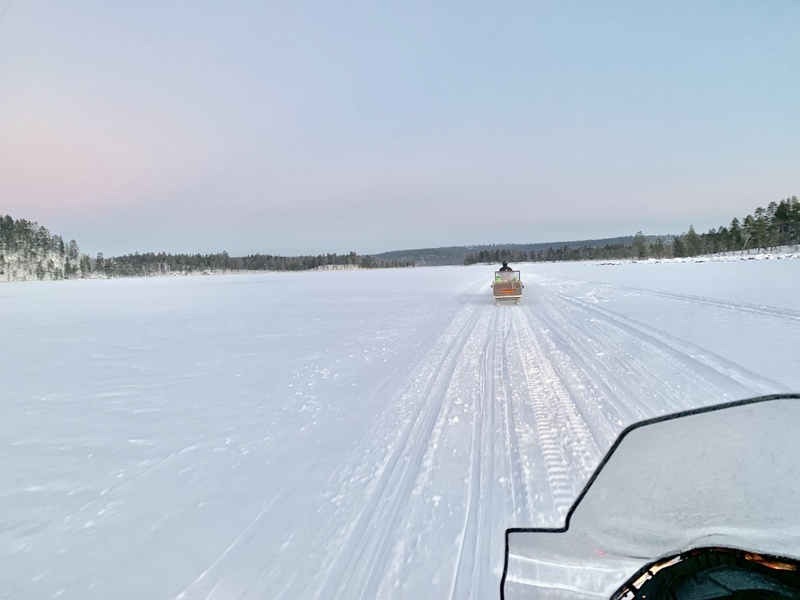 I briefly drove the snowmobile across the frozen lake and Pim invited Big Bear to ride with him on his snowmobile at the front, which he loved. The scenery was absolutely stunning with nobody else around and it felt like we were on top of the world. Back at our log cabin, we had a rest for an hour or two before dinner and our last trip of the holiday. After our success of the previous night (The Bears falling asleep in the sledge and J and I having a nice quiet evening), we were a little cocky the second night. This time we were with another family with a five-year-old boy and Jonny, our guide from the Santa visit. Jonny took us to an island on the frozen lake where he made a fire and we huddled round under blankets. As we hoped, The Bears fell asleep as we crossed the frozen lake. “We’ve got this down to a fine art” we boasted to the other family as their five-year-old wriggled around wide awake. All was fine for about an hour and then Little Bear woke up. We sat him next to us round the fire under a blanket. He was half asleep and didn’t make a noise. Then Big Bear woke up, cold and confused. We couldn’t settle him down again so we abandoned the camp and headed back to the hotel half an hour early – the northern lights nowhere to be seen again. I always thought saunas were a luxury item for the Scandinavians, even though they are as common in homes as conservatories in England. However, having spent two days in minus temperatures, I’ve come to the conclusion that jumping into a sauna for 20 minutes after a day in the snow when it’s -18 degrees is an absolute necessity. The next day it was time to head home. Another two flights, which The Bears were impeccably behaved on (check out who was flying one of the planes). We didn’t pre-book any special assistance on the flights back – mainly because we were unable to contact the airports or Finair beforehand. However, when we arrived at Ivalo airport, we explained our circumstances and they allowed us through the priority lanes. We did the same at Helsinki airport and we kept the lanyard for landing in Manchester on the way back. Are there easier ways to visit Lapland? Possibly. A longer holiday with activities spread across more days might work for some families. Especially if you’re going to the Santa Claus Village in Rovaniemi where there are museums and more activities nearby. However, getting Little Bear to wear his warm clothes over a longer period would have made our trip harder in my opinion. It’s also worth considering a January trip when it’s quieter (and cheaper). Although it wasn’t an easy holiday for a family with autism – a long journey, freezing temperatures, and lots of activities packed into a short amount of time – it was an amazing experience and I’m so glad we went. Big Bear and I have made a photo book of the holiday so The Bears can show people where they went and it gives them visual prompts to talk about the trip.